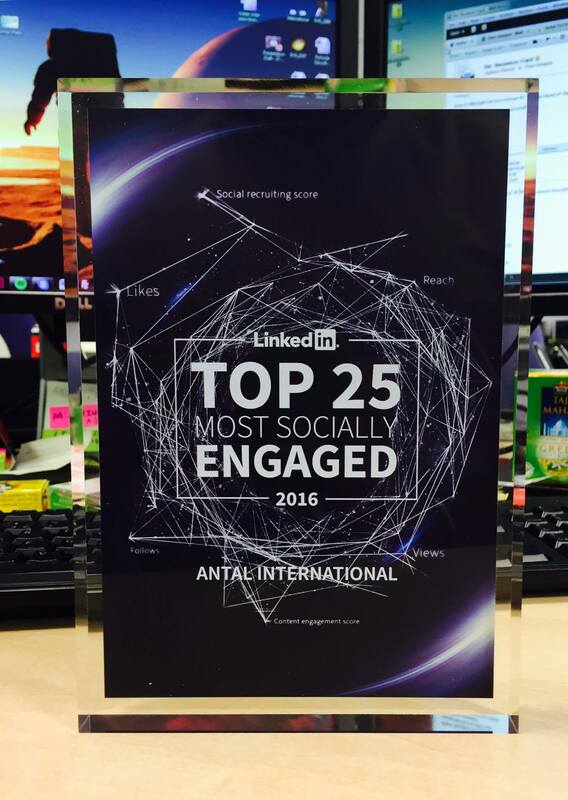 Antal International enter at 15, being the #MostSociallyEngaged staffing agency in Large Global Firms Worldwide awarded by LinkedIn! This is a true reflection of the hard work and dedication of our team and a recognition of our Social Recruiting abilities. Well done to everyone within the Antal Team!